How did you discover your love for film and visual storytelling? My parents had no plans for me getting an education past high school because no one in my family had ever gone to college before. They were preparing me to get married. As an army brat, the only way I knew how to pay for college was through the military. I joined the Army as a Russian linguist in hopes of studying painting in art school when I got out. During my eight years stationed in Germany, the same country where I grew up, it was hard to find access to American films. So I became a video store addict and watched a lot of movies, especially movies from the 1970s and 80s. While flying by day on Blackhawk helicopters, I unintentionally gave myself a beginner’s course in film studies during my off time. While taking an academic class on film critique at a community college after the military, I became deeply inspired by David Lynch. Discovering he was a painter before becoming a director made me look at the credits more closely after every movie. I wanted to know more about the filmmakers themselves. That was the time I saw Kathryn Bigelow’s name as the director of Strange Days (before she even made Hurt Locker), a movie that literally deals with virtual reality in the near future. She inspired me to take that final leap from painting to filmmaking. Now that I think about it, every time I took a turn in my path, my decision to do so was always influenced by a woman. How did you come to pursue your passion for storytelling? 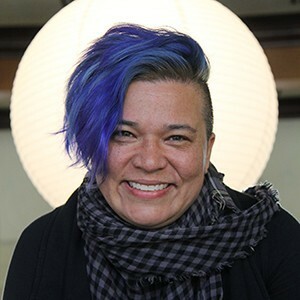 Throughout my educational journey, starting in my undergraduate studies at San Francisco State University, my professors emphasized that if I wanted to direct, I had better learn how to write or else I’d always be waiting around for the right script. I wasn’t very good at first, but I didn’t give up. That blank page gave me room to explore all the conflicts, controversies, and questions I had about life, more than a canvas ever had. Could you share about the beginnings of Wonder Buffalo? My mother spent a lot of time telling me that I needed to lose weight when I was young. I was a really big girl. In high school I weighed 200 pounds. For my mother and in Thai culture, a woman’s body and mannerisms are essential in finding a good husband. To hear these things from an early age, being reminded over and over again that if I didn’t lose weight that nobody was going to love me, it took a toll on me. I had a hard time trying to figure out how to tell my story in a way that was helpful to others. It wasn’t until I met my writing partner, Simon Shterenberg, that we finally found the true voice of the story. Simon helped me realize that the problem wasn't what my mother did to me, but the problem was that I couldn’t accept myself. I let her words define me. A light went off and I felt the burden go away. That’s when we realized that this story is about the journey of letting go of the past, accepting yourself, and replacing the voices in your head with your own voice. That’s the theme of Wonder Buffalo. Even though it’s a story about a Thai-American girl and her Thai-Immigrant mother, it’s a story that can resonate with all of us. What is the role of cosplay in Wonder Buffalo? When Simon and I researched possible worlds to make this a more positive story, we started with Simon’s love for comic books. We wanted to make the story about the main character going on an adventure that would help her accept herself just as she is. 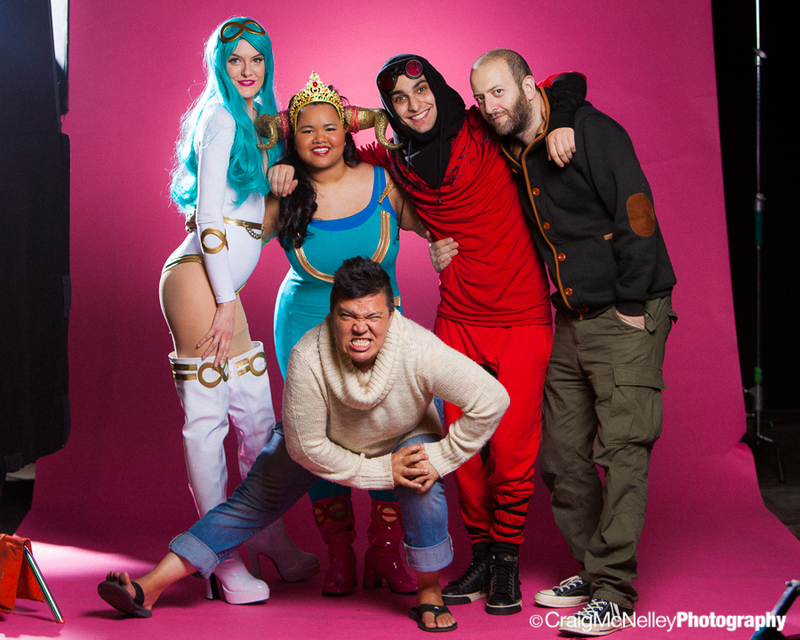 In our research, we ran into a lot of cosplay on social media. A lot of these cosplayers not only made their own costumes and dressed up as the superheroes they look up to but also spread a social message fighting for body positivity, promoting and accepting all body types. What we loved about it was that the cosplayers became heroes and inspirations in real life, not just the character they cosplay. We found it really relevant to Wonder Buffalo and how the main character rises above her mother’s critiques to find the hero within herself. 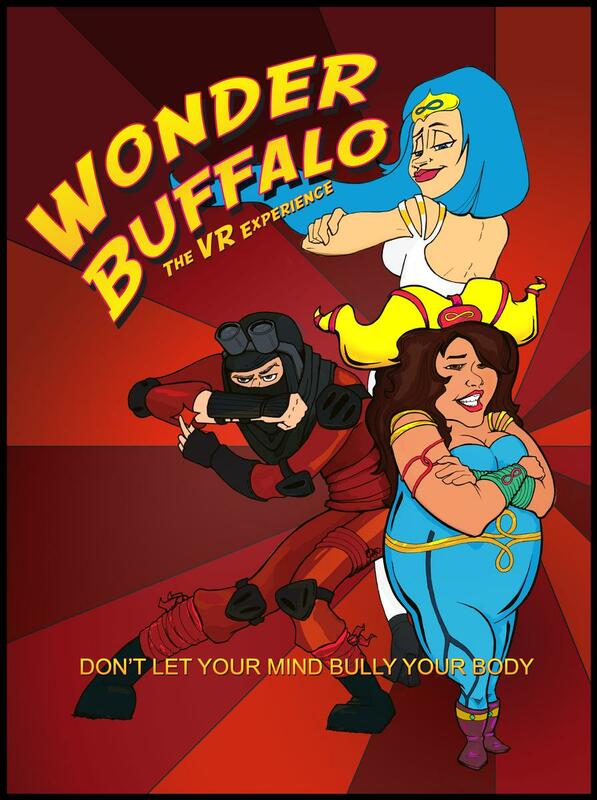 What was your experience co-writing and then directing Wonder Buffalo in its transition into VR? What was it like to maintain the core narrative from a script to a VR experience? I was approached by Erik Weaver from the Entertainment Technology Center at USC. He had seen me struggle for two years to get the necessary funds raised to make the short film. A lot of people had asked whether I could make Wonder Buffalo more relatable to the audience by making the main character white, quirky, or even not overweight. But I stuck to my guns. I wanted to make sure that Wonder Buffalo focused on body positivity and my Thai-American experience as a young woman. We wouldn’t budge, making fundraising hard. We put together an amazing team of USC alumni from different divisions of the film school. Drew Diamond ’13 came on as head producer. Brian Frager ’13 as the VR producer. Lindsey Townley ’16 helped us navigate through all the technology, ultimately becoming one of our VR executive producers. We also worked with Alex McDowell and his team from the USC World Building Media Lab. Our goal was to translate the themes of body positivity, mother-daughter relationships, self-acceptance, and body dysmorphia into a VR experience while reusing the assets of the film production. There were so many choices we could have made regarding VR technology so we focused on technology that would give the user more agency. I wanted to put the user in the character’s shoes so they could experience what the main character experiences. The key was the room captured from photogrammetry and hologram actors then built in Unity. This space gave the user agency to walk around the room, to stand where they want and even stand with the character they wanted to stand next to. It allowed users to feel like they are a part of that world, not just witnessing that world. It was an amazing journey to work with the team and these new tools to tell a story and invite the audience into that story. What was your experience seeing two of your works, Burning Sands and Wonder Buffalo, in competition and showcased, respectively, at Sundance? To be at the Sundance Film Festival with a feature in competition and a VR piece about my life struggle showcased at VR On The Mountain —that was validation for me that all these decades of higher education, struggling financially and personally for that education, and struggling in an industry that is particularly hard for women and people of color, that my life was not wasted in vain. To stand in the silent snow and breathe that fresh air for one moment in the middle of that achievement gave me a peace I haven’t felt in decades. Not that I need it but anyone reading this article understands that struggle. And I hope everyone gets that moment at least once if not many times. What advice do you have for current SCA students looking to get their start in the industry? The biggest struggle coming out of film school is wrestling with the expectation that everything needs to happen now. I was forty when I graduated and I put myself under a lot of pressure to make something happen quickly. Time will defeat you if that is your battle. So despite the lack of work, homelessness, or even food to eat, I challenged myself to stay alive and to keep writing. Don’t just help each other on set. Help each other survive. I am still here because of the graciousness of a few of my fellow classmates. Concentrate on finding your voice. Your education doesn’t end after you graduate. Do whatever you can do to keep yourself in the game. Live life. And BE that storyteller. Challenge your own beliefs and demons. Have more than one story. You know you are going in the right direction if you keep writing and directing despite your definition of success. Find your voice and you will win forever. I know that doesn’t seem helpful. It’s practically horrific. But it wasn’t until I accepted these truths that things started going in the right direction for me with my work.